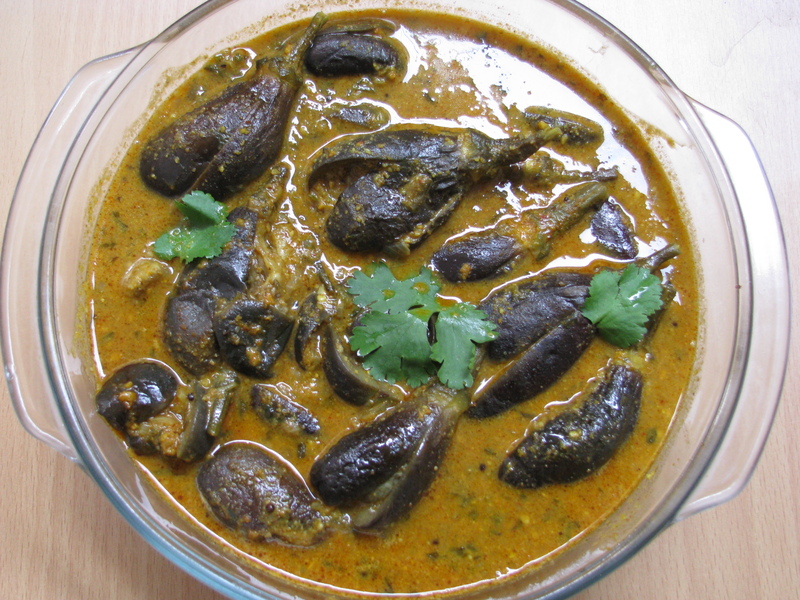 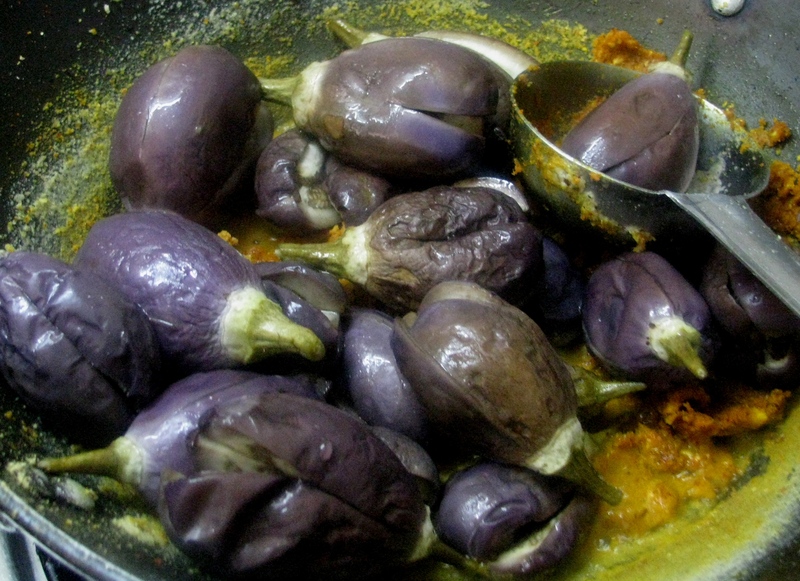 Stuffed brinjal are also called as Bharli vangi …its a spicy Maharashtrian recipe. 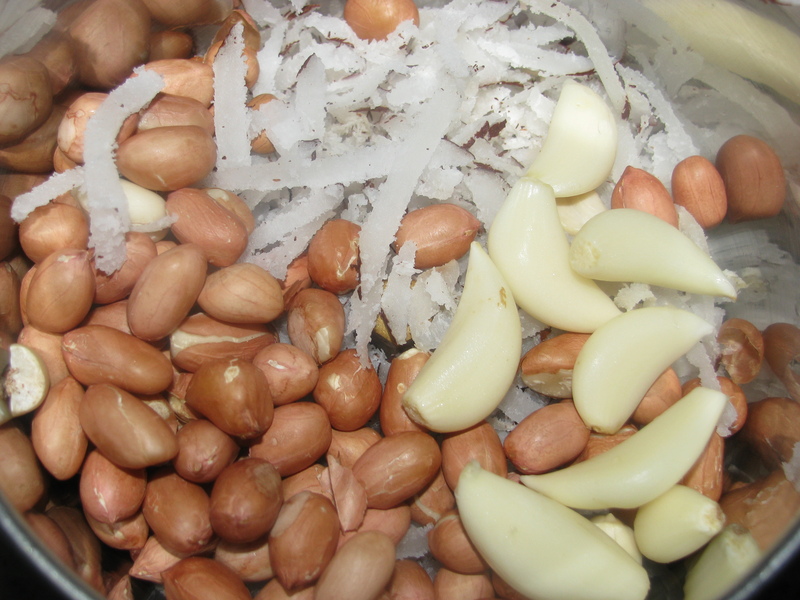 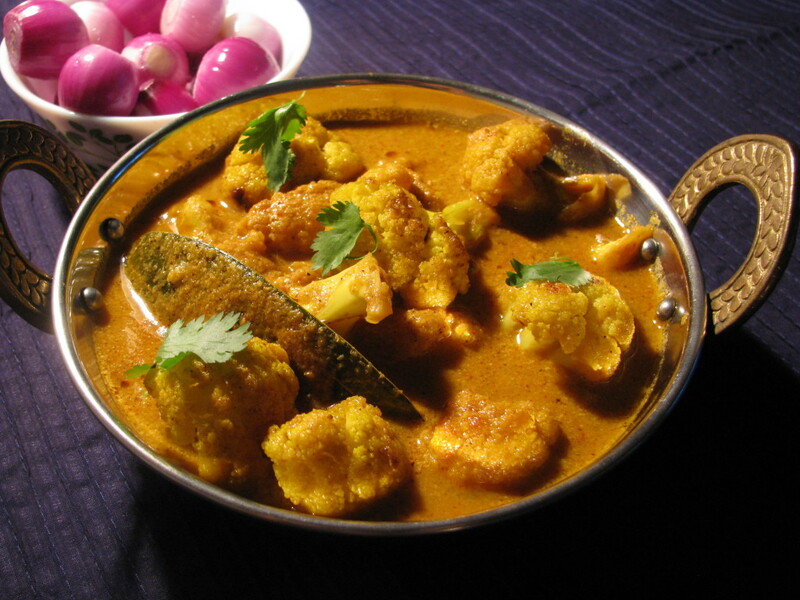 This recipe has peanuts and dry coconut/fresh coconut as a stuffing ingredient…I had added very less oil to this recipe as both the stuffing ingredients has lot of oil in it . 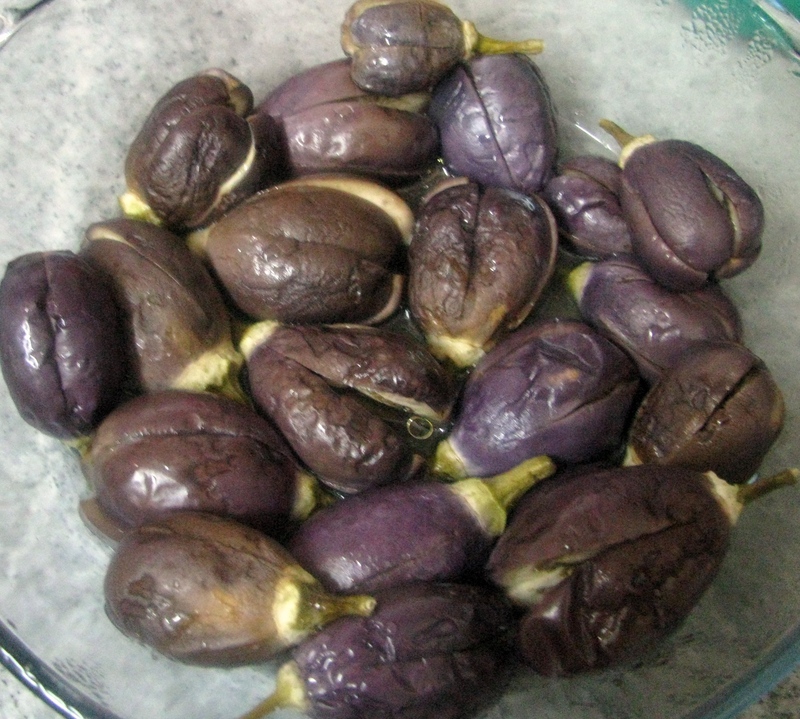 I cooked small Brinjals or Vangi in microwave , Brinjal cooked in microwave with little salt and oil gives a fried brinjal taste .The traditional recipe of this Bahrli vangi contains lot of oil but due to microwave cooking without changing the taste of this recipe very less oil is required . 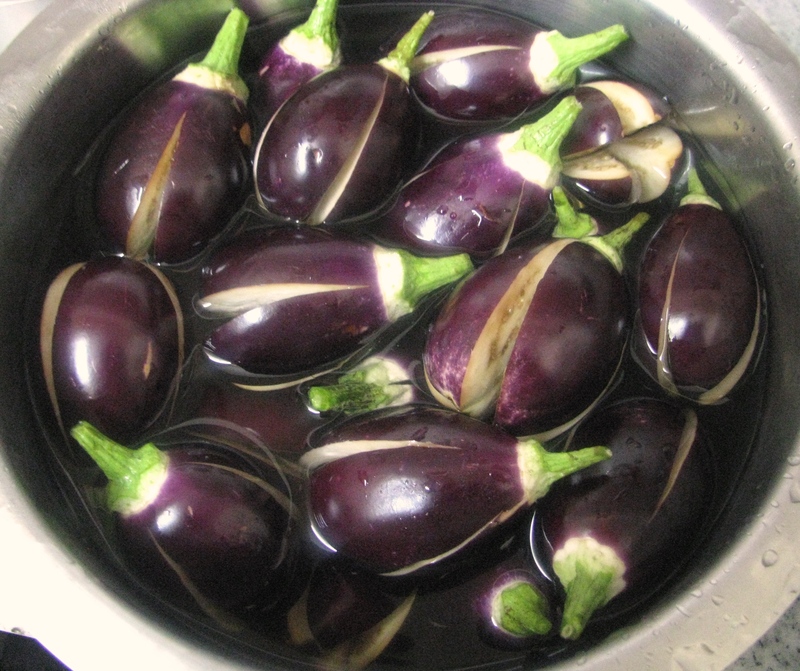 Take a microwave glass bowl and put all this brinjals in it .add 1teaspoon of salt and cook it in microwave for 10 minutes on high power..if you want you can brush some oil on vangi | baingan it gives fried look to this brinjals..Insert a fork in it to check if it’s cooked or not..if its not cooked again microwave it for 2 minutes or until its cooked …now this nicely microwave roasted eggplants (vangi| brinjals)r ready for gravy. 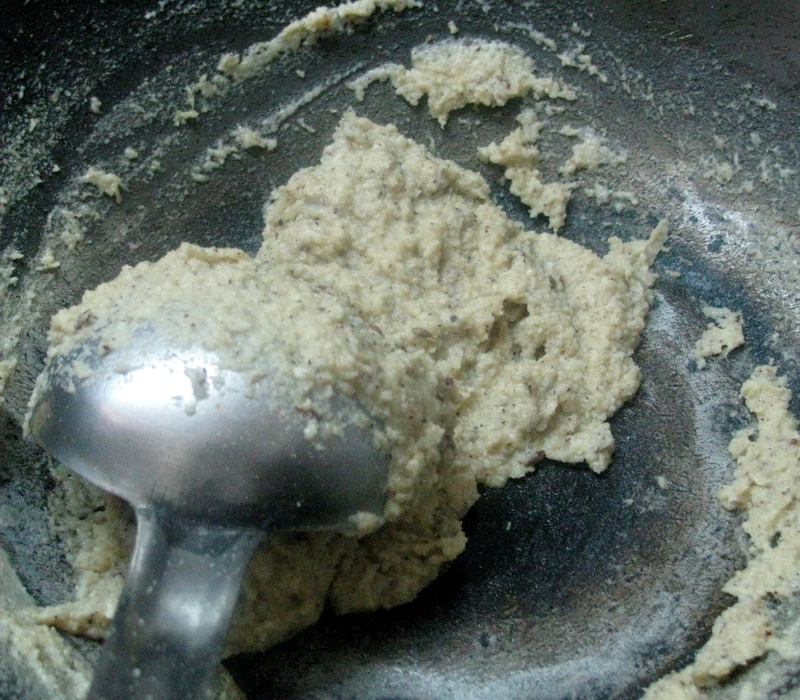 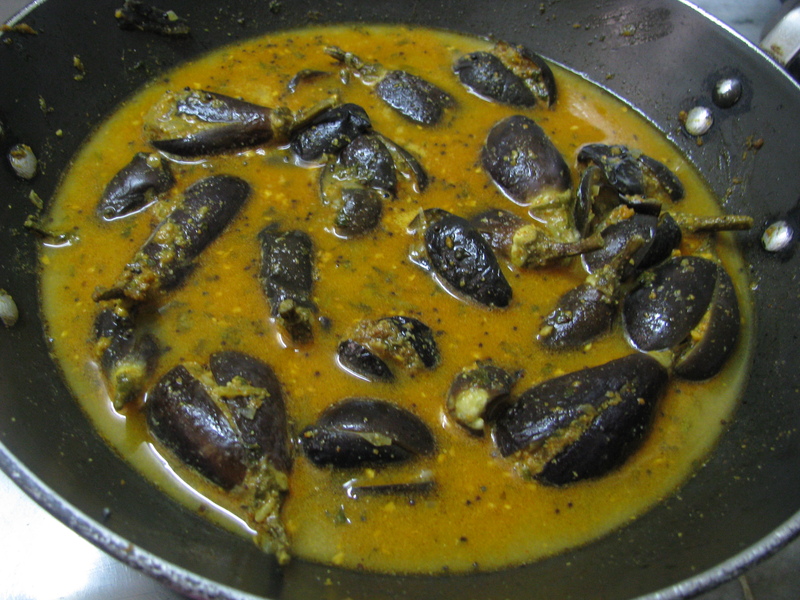 In a pan heat oil add mustard seeds when it starts crackling add cumin seeds(jeera) . 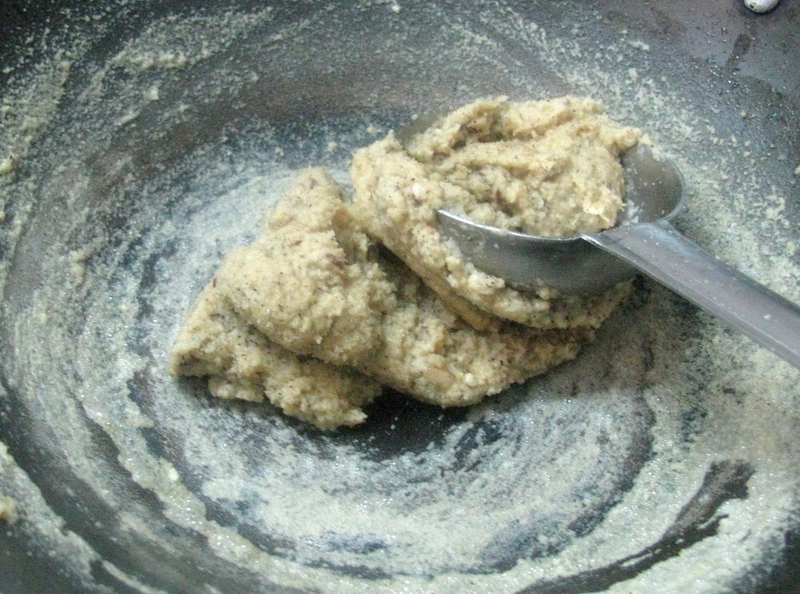 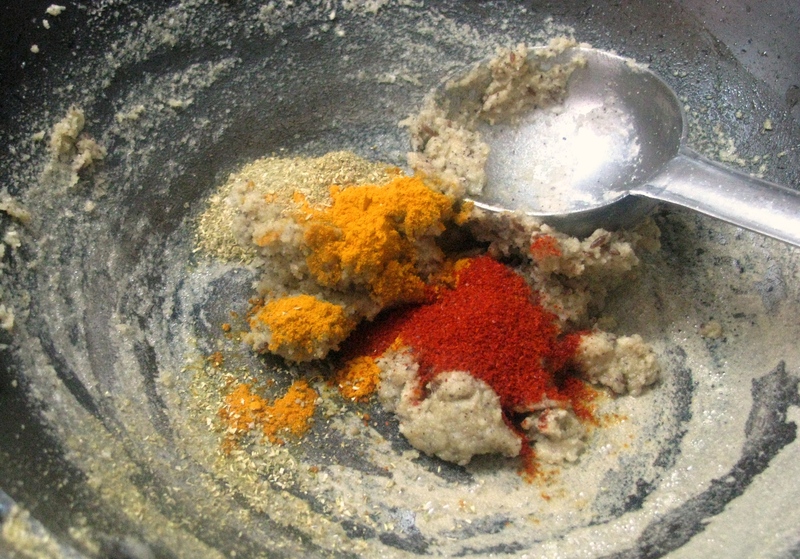 Now add the ground masala in the pan roast it until it will become dry and oil starts separating from it. 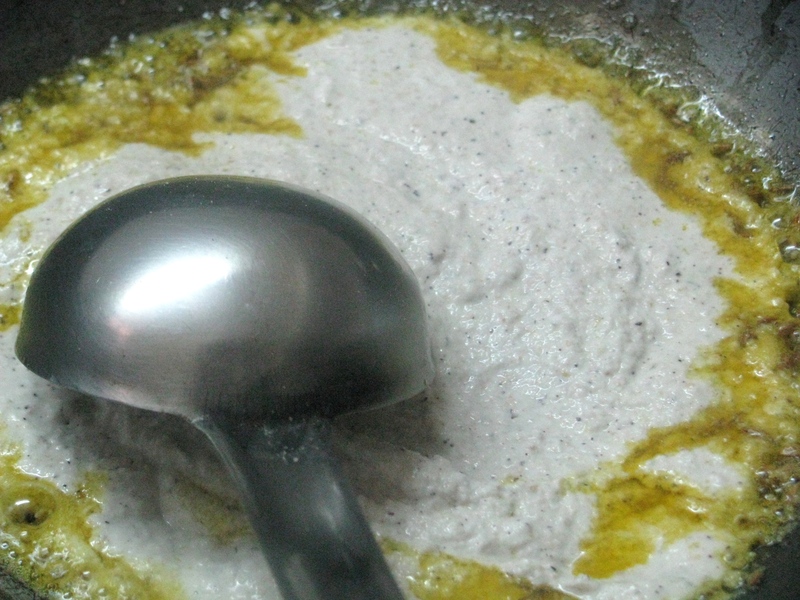 Allow it to boil on low flame for 5 -6minutes…or put it in microwave safe bowl and cook it for 3-4 minutes on high power..
You can serve this Bharli vangi| bharwa baingan recipe hot with rice, chapatti or bread .